My Tampa Bay Mommy : The Children's Place Black Friday Now Live! The Children's Place Black Friday Now Live! Black Friday Deals are live at The Children's Place! The entire store is up to 75% Off and Shipping is FREE on all orders! I am loving the Glacier Fleece at an extra 60% Off! 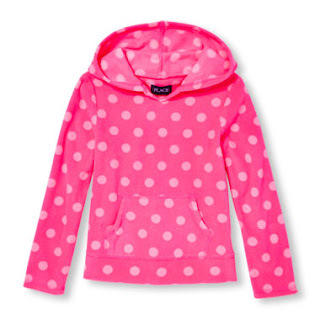 I am snagging this Girls Long Sleeve Dot Print Neon Glacier Fleece Hoodie for only $6.78 (Retail $16.95)!